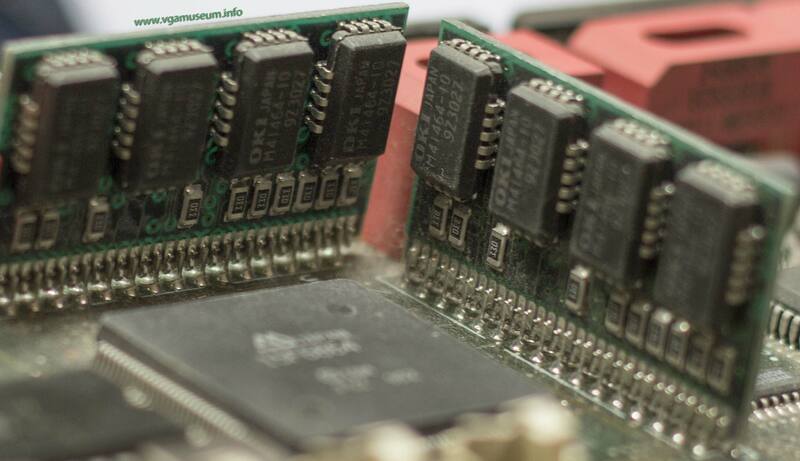 Unknown onboard IBM chip, probably VGA. 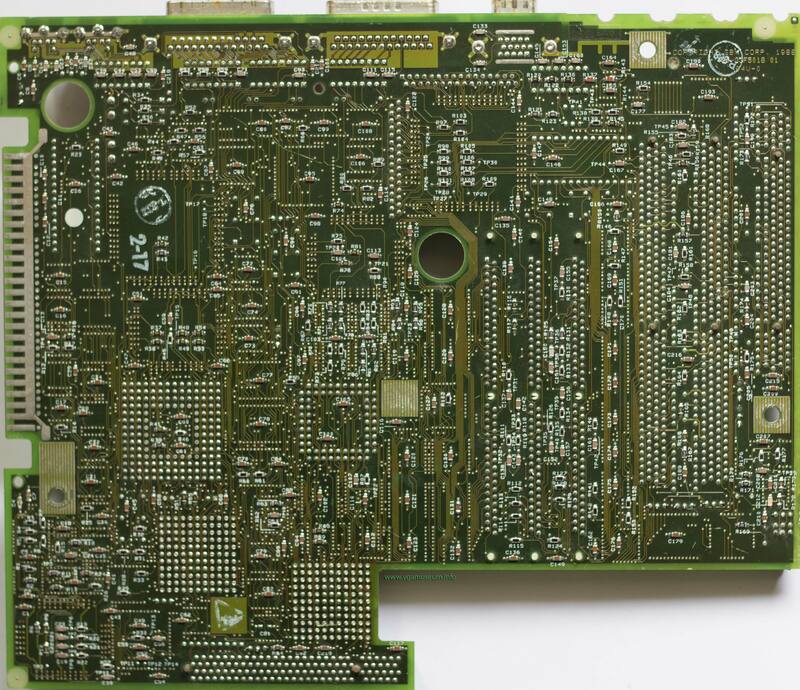 Inmos IMSG171P-35 is 35MHz Ramdac designed to be compactible with IBM PS/2 VGA graphics systems. Datasheet is here. 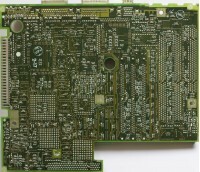 Fru of board is 33F5018 on back side, 64F3537 on sticker at front side. By googling i found that it should be 1st vga chipset used on PS/2 computers. 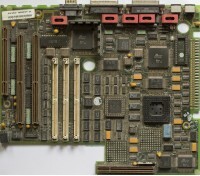 Motherboard should be from unknown PS/2 Model 70 computer using highend 386 cpu - many types sold. Questions are: is it really 1st vga?, source computer exact model.